Raising concrete in problem areas can be done one of two ways, through mudjacking or Lifting Concrete the Poly Way. 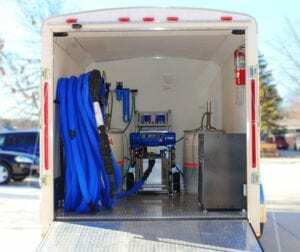 The poly way, also referred to as polyjacking, foam jacking, poly foam, or foam lifting, uses polyurethane foam in an eco-friendly, two-part polyurethane process. 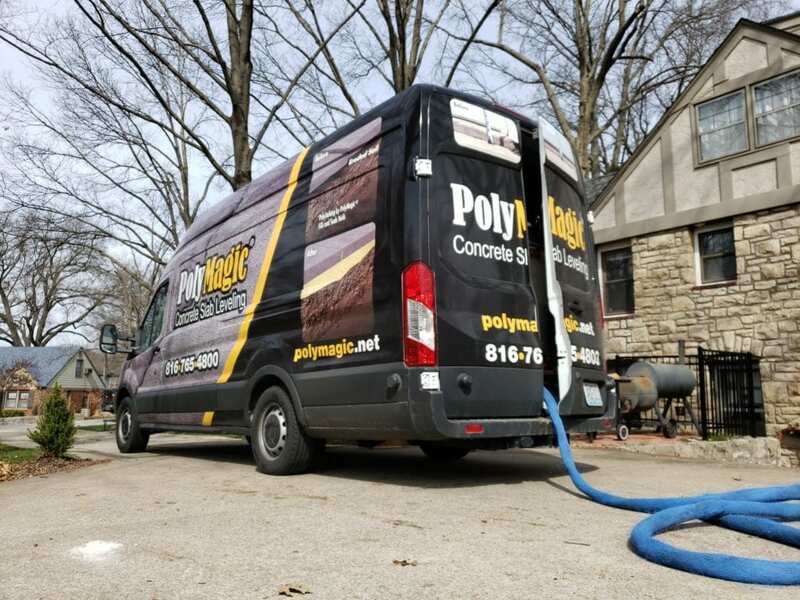 The process allows the polyurethane foam to be injected through holes that are approximately 5/8” in diameter in the concrete and then lifts the sunken concrete. 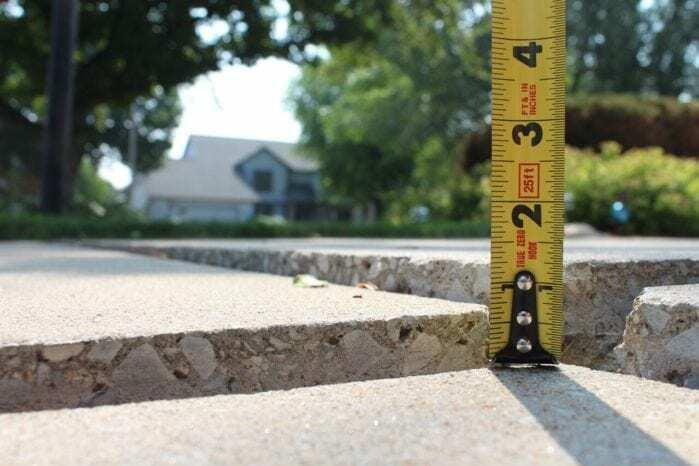 This article highlights the different ways to lift and raise concrete the poly way, including the many industry-related terms to be aware of when considering how to search for the right company to fix your sunken concrete. The foam process is an innovative way to lift a problem area quicker, cleaner, and more efficiently compared with traditional mudjacking. Why all the names for the polyjacking process? Polyjacking is a two-part process that has evolved into the more efficient and effective way to repair sunken concrete. The traditional mudjacking process is the most common way that residents and homeowners search for the process of lifting concrete. In addition to polyjacking and mudjacking, some of the most searched terms referring to the poly process are poly foam, poly lifting, mud lifting, concrete lifting, and foam jacking. 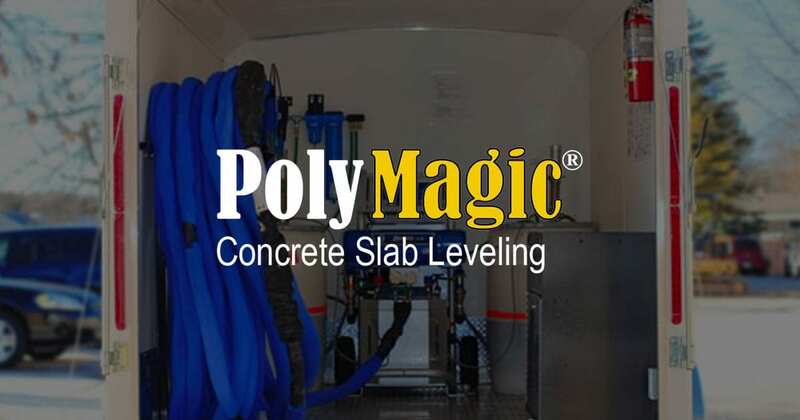 Reach out to the experts at PolyMagic for a determination on whether the use of mudjacking or foamjacking will best fit your needs. Can polyjacking be used in hard to reach spaces? Polyjacking equipment and materials is much smaller than the mudjacking materials and equipment. Mudjacking carries a large weight from the volume of the mud, and requires additional employees to complete the labor, along with the necessary larger machinery and equipment. Mud weighs 30 times poly (as an example, 120lbs vs. 4lbs per cubic foot). 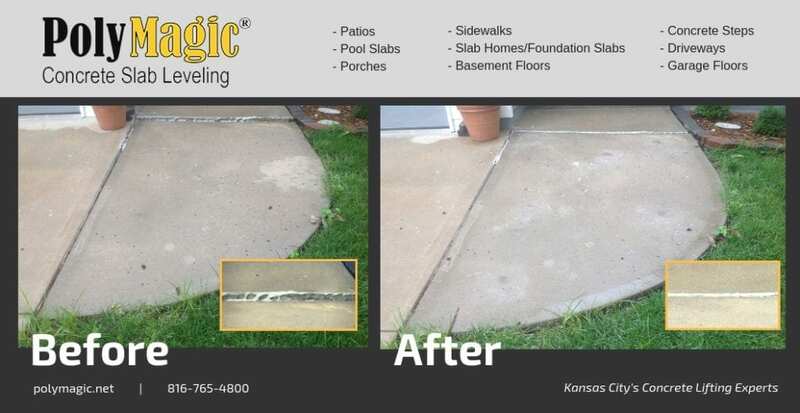 Case Study: take a look at the below before and after pictures of a project that was completed by PolyMagic after a local Kansas City company performed mudjacking unsuccessfully. This is an example of lifting concrete the poly way! See the difference? Get a quick, free quote today – click here!